Our Open Style Photo booth is available in a tri-pod style or full unit. With full touch screen there are no wires or keyboards, just push the on-screen buttons to start taking some fantastic photos. Both our Open style booths have printers in stands so no ugly box on show! Our open booth is filled with quality equipment and professional lighting to make you and your friends look fabulous. We use DSLR cameras, just like a professional photographer, so if you lose your balance our camera will do its best to get a great photo!Your photos print out in just a few seconds and are quick-dry, so they can be picked up straight after printing. Our dye sublimation technology means sharper images and better quality prints. Who is our open booth for? Being an Open Style Booth it can be set up in most locations and spaces. It can also fit larger groups of people comfortably, but is also perfect if you just want to have a friend or two in the photo. We also offer some stylish backdrop choices that you can view here. If you want to make a statement at your event you can also use your own backdrop! Our classic photo booths are made right here in Australia, made from steel and aluminum. It is one sturdy booth! Our photo booth is a stand-up booth, there is no seat. Our photo booth can comfortably fit 4-6 people although we have had 11 in one photo, and with a wide 80cm doorway it also fits some wheelchairs. If your chair does not fit, your professional photo booth assistant will adjust the doorway and camera so you can have some fun. Our booth is filled with quality equipment and professional lighting to make you and your friends look fabulous. We use DSLR cameras, just like a professional photographer, so if you lose your balance our camera will do its best to get a great photo! With full touch screen there are no wires or keyboards, just push the on-screen buttons to start taking some fantastic photos. Your photos print out in just a few seconds and are quick-dry, so they can be picked up straight after printing. Our dye sublimation technology means sharper images and better quality prints. Our GIF Booth is finally here. She is so beautiful and ready to be at your event! Why should you have a GIF booth at your event? Our GIF Booth software allows for Social sharing instantly as well as email and Text messaging. If you have an event where you need to capture data we recommend our GIF Booth. Our booth is battery operated and light weight so can be set up ANYWHERE, with any background you like . Glad you asked! Its a moving image (like a video) that can be made different ways. Boomerang is our favorite! Forward moving then into reverse, makes for such an entertaining picture. For those of you who love to Hashtag and let all your followers know what you are up to. Our Instagram printer is for you! Take as many photos as you and your friends can, upload to your public Instagram account using the unique event hashtag and watch your photos print instantly! Our event attendant can help assist your guests with uploading and taking photos for Instagram. At the end of your event we will provide you with a USB that has all your awesome insta-moments to relive. We can also provide a frame for your photos to hang on until your guests are ready to collect them! We love doing photo booths but we love creating extras suitable for your needs! Need a custom backdrop ? no problems, we can source one for you. Need a custom activation to have an interactive experience for your clients ? Sure, lets talk about your goals and how we can make it happen! Want your clients to share via social media ? We can do that as well! The more you tell us about you and your event the more we can assist you in making your event one your guests will always remember. 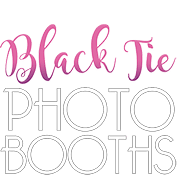 Black Tie Photobooths has been operating since 2012 and we’ve been to a lot of events since then! We’ve been to weddings, formals, birthday parties, hens nights, baby showers, reunions and corporate events.